“How Afghanistan Is on the Leading Edge of a Tech Revolution” thundered Time magazine in the Spring of 2013. “It’s a success, no questions about it”, was the verdict of a New York analyst. Barely two years ago, mobile money was slated to irrevocably change Afghanistan for the better. M-Paisa’s 1.2 million subscribers were the vanguard of a technological transformation that was going to wipe out corruption, promote economic growth, and facilitate remittances and bill payments. In short, mobile money was seen as a genuine potential “game-changer” for a country that desperately needed a brush with good fortune. For many who had heard such stories and predictions over the past few years, the recent World Bank Findex figures for Afghanistan came as something as a shock: rather than announcing that Afghanistan was in the mobile money ‘premier league’, with more than 10% of adults in possession of a mobile money account, the data divulged that not even one in a hundred had one, nor even one in two hundred. According to the 2014 Findex, a mere 0.3%, or approximately 50,000, of those aged 15 or over in Afghanistan have a mobile money account. Rather than being in the premier league, for mobile money Afghanistan remains well and truly in the little league. On paper, Afghanistan has what have been termed the three “ideal conditions” that create a fertile ground for mobile money: low levels of financial inclusion; poor fixed line telecommunications but a high mobile penetration level; and little or very poor physical infrastructure. But while these conditions may be necessary, they are not by themselves sufficient to create a mobile money hot-spot (otherwise much of the Global South would easily fall into that category). There a number of other factors that have to combine to create the unique value proposition that is attractive to consumers and drives scale. Unfortunately for Afghanistan, as yet the right mix has not yet been achieved. In the background, an enabling regulatory environment that balances the needs of the market with adequate oversight is required. In this regard, Afghanistan was, in global terms, quick off the mark in issuing specific regulations for issuers of e-money: the Afghan central bank – DAB – issued Money Service Provider Regulations in 2008 that established licensing requirements for ‘e-money institutions’ (EMIs). Although a 2013 IFC study recognized that separate guidelines for bank and non-bank EMIs had the potential to pose competitive risks, overall the regulations were considered flexible enough to facilitate what the IFC termed “unconventional approaches to agent networks, such as engaging informal hawala networks.” Nonetheless, the regulatory regime, despite being early, was not overly restrictive or oppressive, with the result that by 2013 three of the country’s four mobile network operators – Roshan, MTN and Etisalat – all had a live mobile money deployment. Roshan alone claimed that it had grown its M-Paisa service (in conjunction with Vodafone) from 50,000 subscribers in 2010, to 1.2 million in 2013. 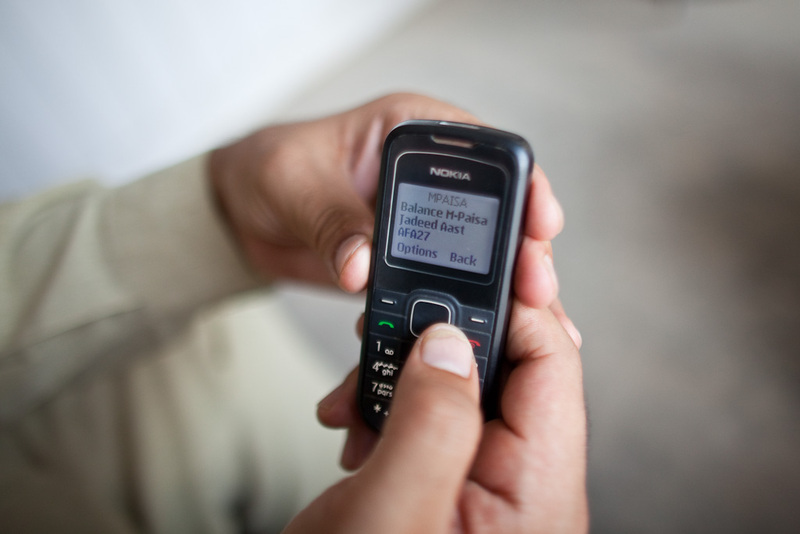 Even at the time this figure seemed optimistic: a 2013 survey carried out for USAID estimated there to be around half a million mobile money subscribers in the country (still ten times higher than the reported number just a year later). Moreover, the 2013 Altai/USAID survey pointed to a number of operational constraints that proved to be significant brakes on uptake and usage. In particular, agent networks suffered from a poor reputation, linked to liquidity problems that were pervasive across the agent network. In fact, a large majority Afghani mobile money users (many of whom were forced by their employer to accept payment in this fashion and, in fact, expressed a desire to be paid in cash instead) preferred to make their withdrawals through banks, which somewhat defeats the purpose of an agent-led branchless banking/mobile money network. At the heart of this dysfunctional branchless banking system lay a number of insufficient or misaligned incentives, for the consumer and the agent alike. A very small number of foreign NGOs were early adopters of mobile money as a salary disbursement system, along with a number of Afghan government entities such as the Police and the Army. Numbers, however, were much lower than necessary to build critical mass: despite what foreign media reported no more than 1,400 police officers ever received their salaries via mobile. This helped reduce “leakage” and corruption, and kept NGO and agency costs down. What it did not do, however, was make mobile money useful. Afghanistan was, and still is, a cash-based society, and although there existed a variety of use cases, including P2P and bill payments, awareness of their availability was low, and alternative incentives to retain funds in the account were lacking. The result was that the phenomenon of “dump-and-pull” (full withdrawal in cash of the wallet’s funds) was endemic, and made the product unpopular among those who had to sell it. Moreover, Roshan’s deployment faced fierce opposition from many quarters, including within the banking system, and those in authority who benefitted from the “leakage” from the salary payment pipeline. Moreover, in the main onboarding market – P2P transfers – mobile money is up against stiff competition from the traditional hawala networks that are perceived to be more reliable, more accessible and more readily available than M-Paisa. It is easy to see why mobile money agents in Afghanistan struggled with liquidity when faced with dump-and-pull on a regular basis. As a result, mobile wallet users reported often being charged more than the official withdrawal fee to withdraw their funds. And on the Cash-In side of the Cash-In/Cash-Out equation, agents had little incentive to sell mobile money to their customers: the margins on mobile money (which, of course, enables airtime top-ups) are lower than on top-up scratch cards. The result of all this, then, was a mobile money ecosystem in which customers, many of whom did not even want a mobile wallet, suffered from low-information levels (an issue connected to the previous point) and generally desired to convert the funds immediately into cash. On the supply side, agents were saddled with a product they had little incentive to want to sell, and which, in fact, caused sufficient liquidity constraints on their business that they demanded a bribe to “buy”. In addition, from the consumer’s perspective, mobile money solved few practical problems in their day-to-day lives. In this context, then, it comes as no huge surprise that mobile money in Afghanistan did not meet the lofty expectations that were placed upon it by NGOs and foreign media organizations looking for a good story. Despite the disappointments, none of this changes the underlying fundamentals: Afghanistan is a country to which mobile money and branchless banking are well suited. MNOs have a good and trusted reputation, they can help reduce corruption, and offer potential advancement and opportunity for significant sections of the populace, including women. However, the case of Afghanistan clearly demonstrates that in mobile money, as in most other things, you cannot run before you can walk: incentives must be aligned and ideally the ecosystem should develop in a collaborative manner, or at least a synchronous one, to ensure that high expectations do not get dashed.